Marcy Barnes / M. Barnes & Co. 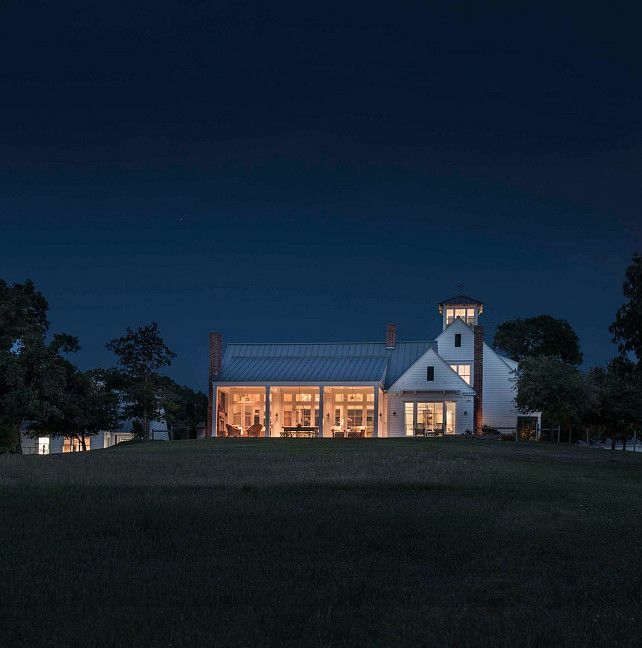 This striking building sits about an hour away from Dallas, and its owners were adament that it had authentic Farmhouse features. 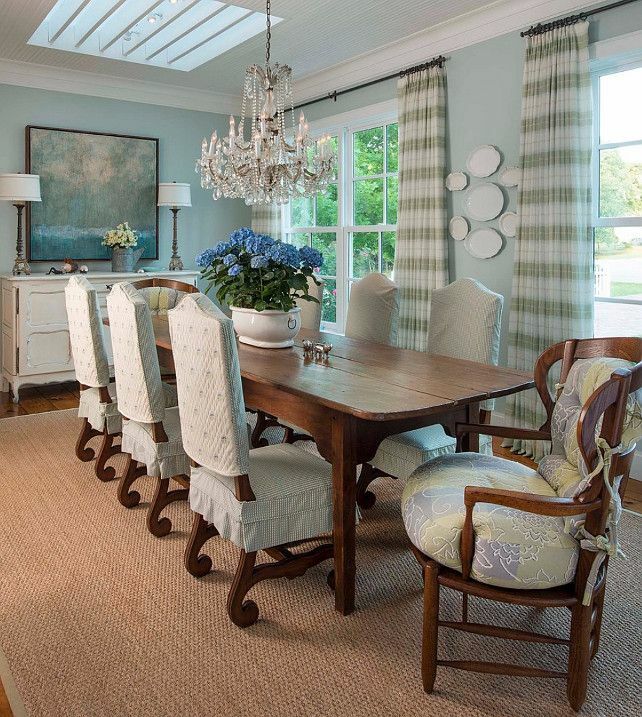 The owner of the home is Marcey Barnes, an interior designer who started M. Barnes & Co. interior design. The 4500-square-foot residence has four bedrooms and four-and-a-half bathrooms, as well as grazing land for 60 goats and two horses. 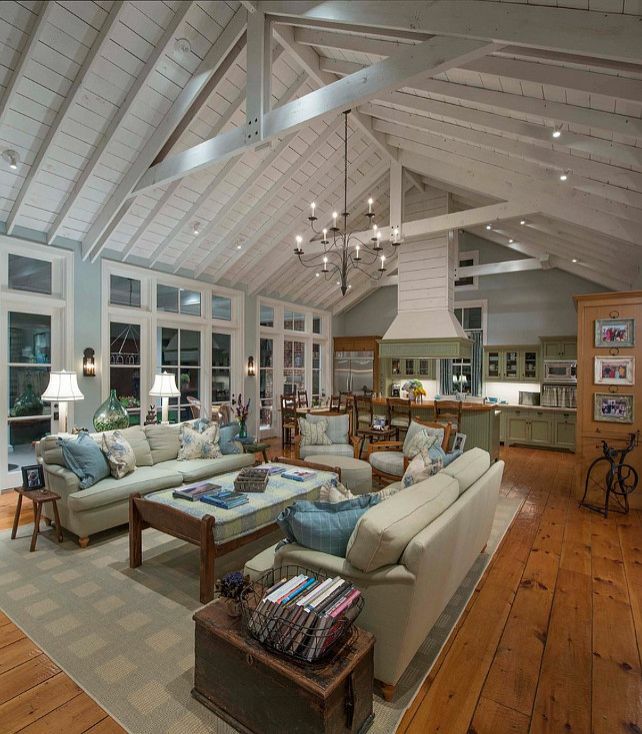 The home's main room features a wide open design that houses the living room and kitchen. The tall ceilings feel like the home could have once been a chapel. The dining room is more private, but large windows and a ceiling light allow the room to be drenched in natural sunlight. 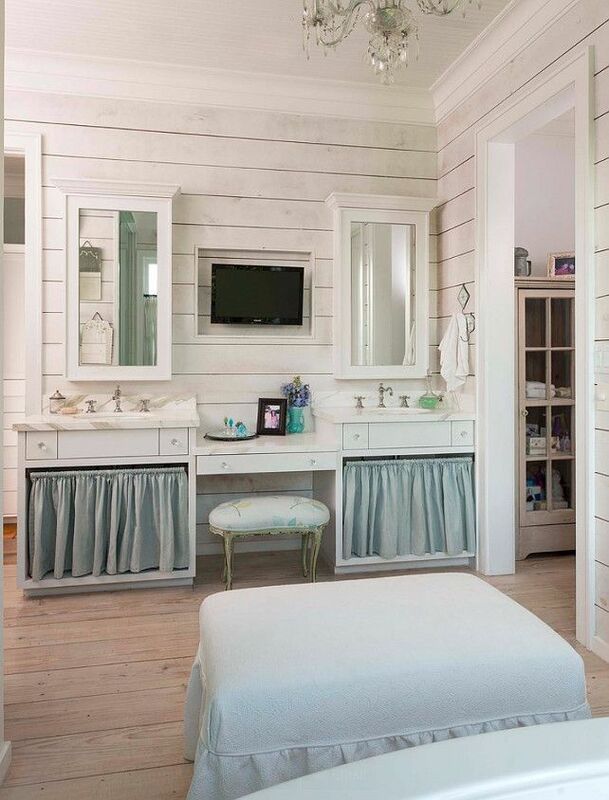 The master bathroom features aged wod walls and a lovely chandelier -- pefect for giving the house the authentic Farmhouse vibe! 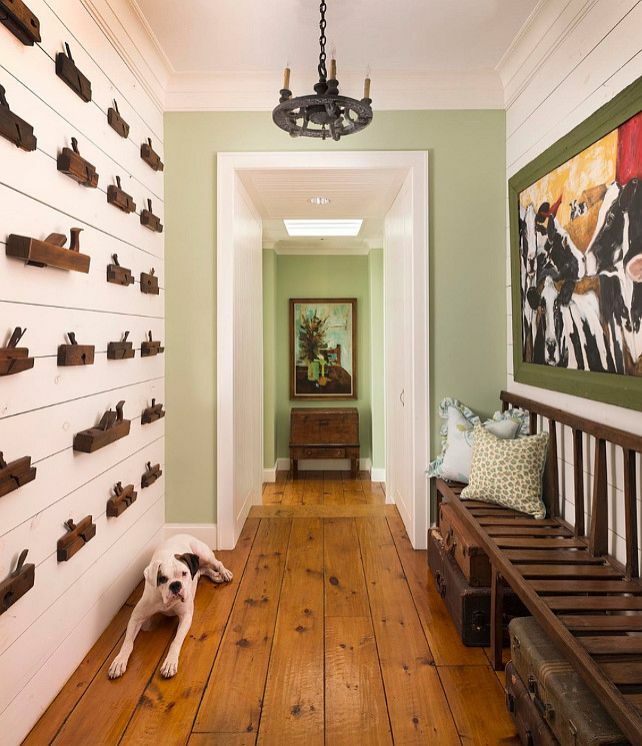 This hallway shot shows off the home's bold hardwood floors. The color of the stained wood is contrasted by the pale green walls. 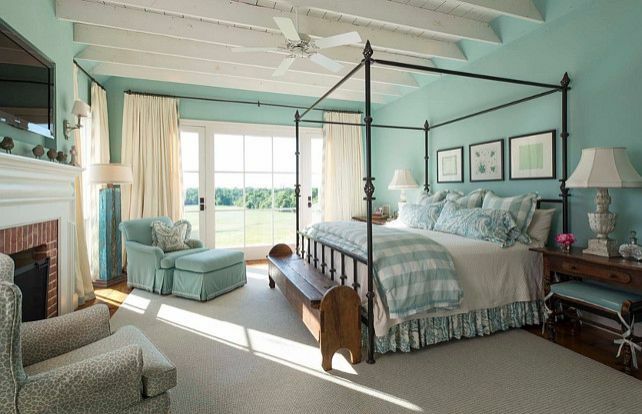 The master bedroom is a cool pastel blue color, and features a private doorway that leads to the yard. The large canopy bed serves as the room's main focal centerpiece. At night, the exterior of the Farmhouse turns into a thing of beauty. The exterior of the home is a traditional white, but the light blue roof gives guests a hint of the interior's playful colors. Also visible in the picture above is the Farmhouse's external poolhouse. 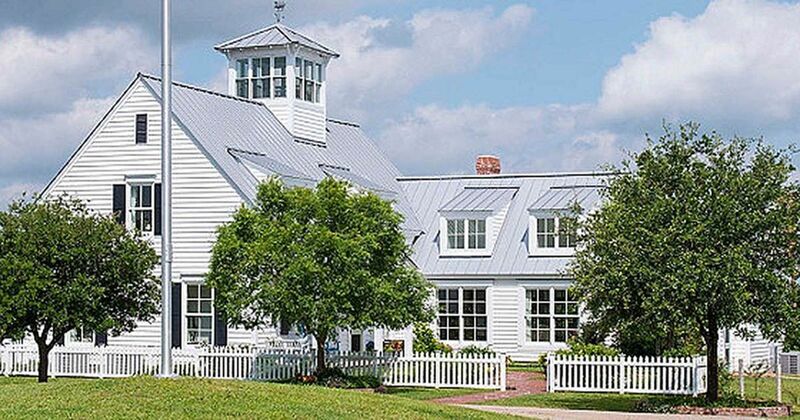 Would you want to live in this Farmhouse? Let us know by sharing this post with your friends!